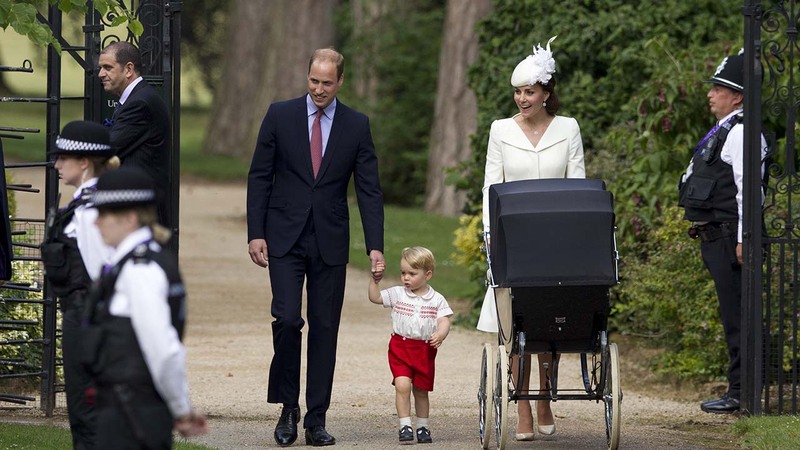 LONDON, England -- - Prince William and his wife, Kate, marked a milestone for their newborn baby Princess Charlotte on Sunday - a christening ceremony on Queen Elizabeth II's country estate that was steeped in royal tradition. Hundreds of fans outside St. Mary Magdalene Church in Sandringham, a sprawling royal estate near England's eastern coast, cheered as William and Kate arrived with toddler Prince George and 9-week-old Charlotte, who was in a vintage pram. It was only the second time Britain's newborn princess, who is fourth in line to the throne, has been seen in public since she was born on May 2. Charlotte was dressed for the occasion in a replica of the intricate lace-and-satin christening gown made for Queen Victoria's eldest daughter, also named Victoria, in 1841. Until 2008, that original gown had been worn by all royal babies - including the queen - at their christenings. Prince William's wife, the Duchess of Cambridge, gives birth to baby girl! The 16th-century church, close to William and Kate's country house Anmer Hall, is where the royal family traditionally gathers for Christmas service. 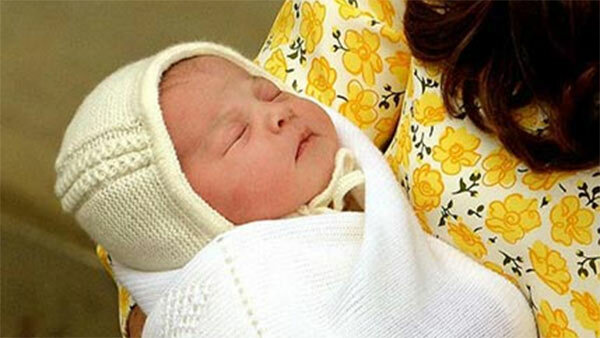 It is also where Charlotte's late grandmother, Princess Diana, was christened in 1961. The ceremony was private - the queen, her husband Prince Philip, Prince Charles and Kate's family were among a small group of guests allowed inside. Guests also included five godparents that William and Kate chose for Charlotte, including William's cousin Laura Fellowes, Kate's cousin Adam Middleton, and three of the couple's friends. Laurie Spencer, 52, from Florida, said she decided to give up a ticket for the British Grand Prix to be at Sandringham instead. "When I found out the christening was happening while we were here I knew I just had to be there," she said. Sunday's event saw William, Kate, George and Charlotte appear in public for the first time as a family of four. Celebrity photographer Mario Testino will take official photos of the royal family after the service.